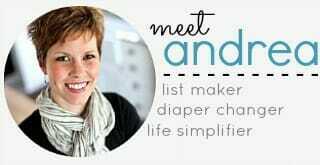 Those of you who have read my blog for years and years might remember the very first time I shared BANDI belts with you, 5 years ago! Since then, my collection of BANDI belts has grown to 3 belts, all of which I wear on a regular basis. 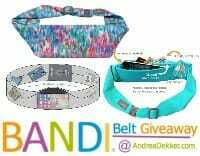 The BANDI belts are so handy when I’m heading to the park with the kids, going for a bike ride, or doing yard work. They allow me to keep my essentials handy without lugging a bag around or having stuff fall out of my pockets — score! 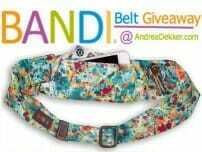 I’m giving a couple BANDI belts away in today’s post! 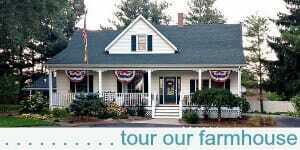 Come enter to win! 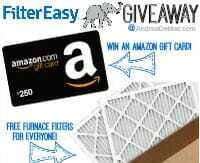 The End Of An Era + One More Glamourmom Giveaway! I was recently thinking about the fact that I have been pregnant or nursing (or both) for my last 8 birthdays… and I’m pretty sure my 33rd birthday (this past Saturday) was the last birthday I’ll be stuck in the pregnant/nursing camp! To celebrate, I thought it was only fitting (pun intended) to share one more fantastic giveaway and discount offer from Glamourmom, the creator of my most favorite nursing tops EVER! We haven’t quite packed up our snow boots just yet (that would be tempting fate too much! ), but we did get new pediped shoes for everyone a few weeks ago — so we’re ready to go when the weather officially warms up! 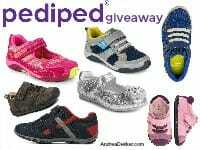 pediped shoes are my most favorite brand of children’s shoes (for good reason) and I’m excited to share another giveaway and discount code with you today! 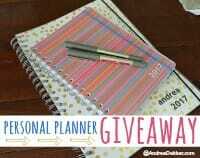 If you’re in the market for a new planner, I would highly recommend trying a Personal Planner this year! When I was growing up, back-to-school shopping meant scouring the ads, clipping coupons, and driving from store to store in search of $0.10 note pads, $1.00 markers, and my favorite… Trapper Keepers! 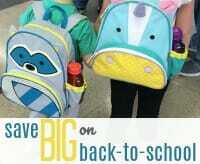 Now days, back-to-school shopping is SO much simpler and easier because you can do almost everything online! 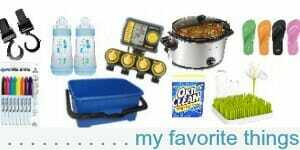 And speaking of shopping online, I have a $200 Visa gift card to help one lucky reader stretch their back-to-school shopping budget just that much farther! 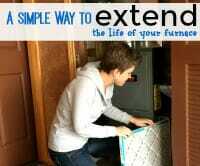 Today I’m sharing one very simple maintenance task that can save you a bunch of money by extending the life of your furnace! 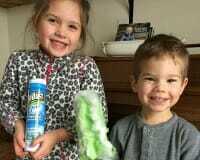 Post-Holiday Cleaning + 1 Chore My Kids LOVE + A Giveaway! As I’ve mentioned before, I’ve never been one to do tons of deep cleaning BEFORE the holiday season. 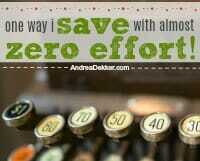 I like to wait until the dust settles and then do my version of deep cleaning after the New Year. A New Planner for A New Year! 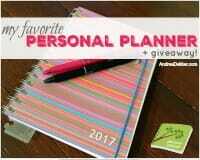 As many of you know, I love my Personal Planner and have ordered that brand for the last several years. 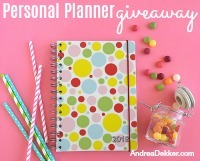 Since my Personal Planner giveaway is always so popular, I’m back with another opportunity for you to win their newest A4 planner – perfect for those of you who want to get a little more organized in the New Year! 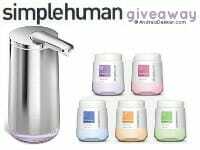 Today is Dave’s birthday, and I thought we’d celebrate on the blog by doing a fun giveaway! In general, I’m not a big accessories gal — I don’t wear much jewelry, I don’t wear hats, I don’t carry cute bags. However, 3 years ago, I discovered the BANDI belt, and I knew it would be the perfect “accessory” for my non-accessory-loving self!